Iowa City’s best extended stay hotel. Our wide variety of rooms styles includes suites, full kitchens, whirlpools, balconies, honeymoon suites, townhouses, and multi-bedrooms. 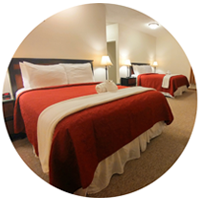 The Alexis Park Inn is a clean, locally owned hotel and Residence Inn. 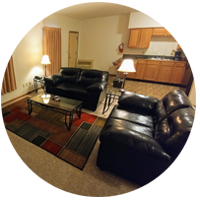 We are located near downtown Iowa City, the University of Iowa campus / hospitals, Kinnick Stadium and the Iowa City Airport. Our rooms have a home like appearance and feel. 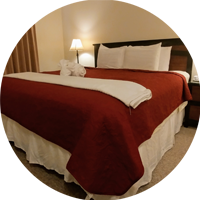 This a quiet, family friendly establishment where we pride ourselves on providing clean, comfortable rooms at a good price. 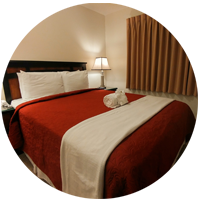 We offer a variety of room sizes and types, from standard hotel rooms to whirlpool suites and multi bedroom townhouses. 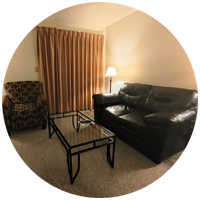 Rooms are well maintained and most have full kitchens, balconies and separate living rooms. 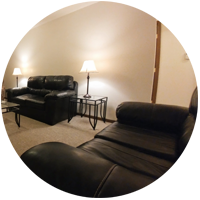 All rooms are available nightly, weekly and monthly. Our staff are the highest rated in Iowa City. One king size bed with seating area. 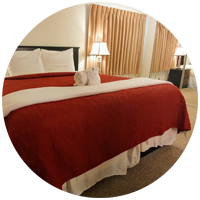 Two queen size beds in one large room with seating area, large bathroom. One king size bed, full kitchen and seating area in one large room. Full kitchen with breakfast bar, living room, bedroom with one queen size bed. Full kitchen, living room, bedroom with king size bed, whirlpool in bathroom. Full kitchen, living room, 2 bedrooms with queen size beds. Full kitchen, living room, 3 bedrooms with queen size beds. First floor: full kitchen with breakfast bar, living room and bathroom. Second floor: 2 large bedrooms with queen size beds, whirlpool in bathroom.